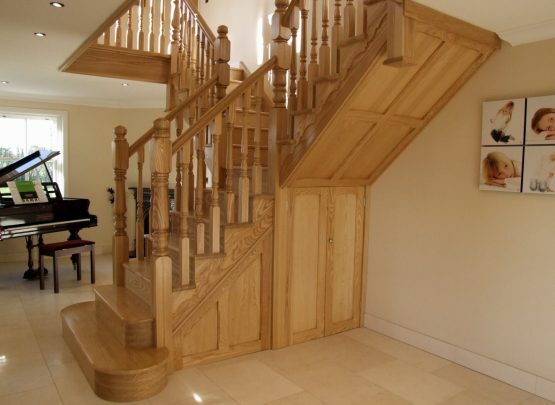 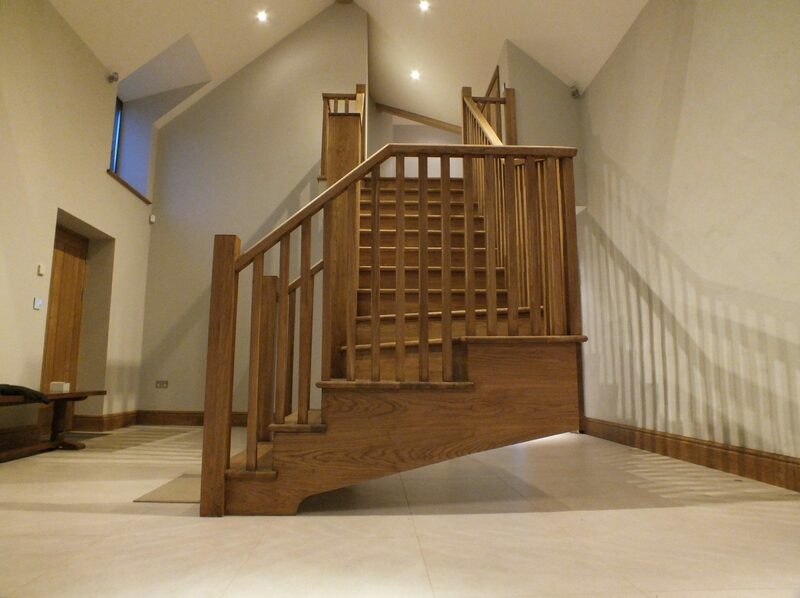 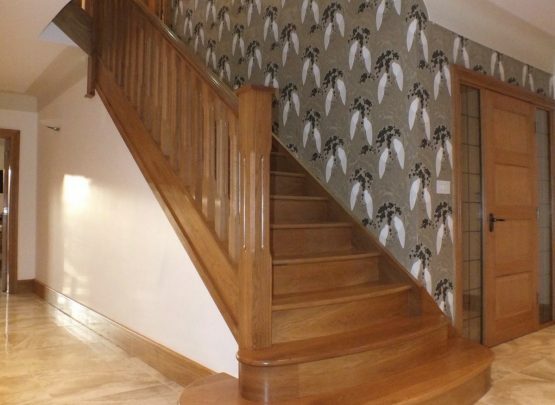 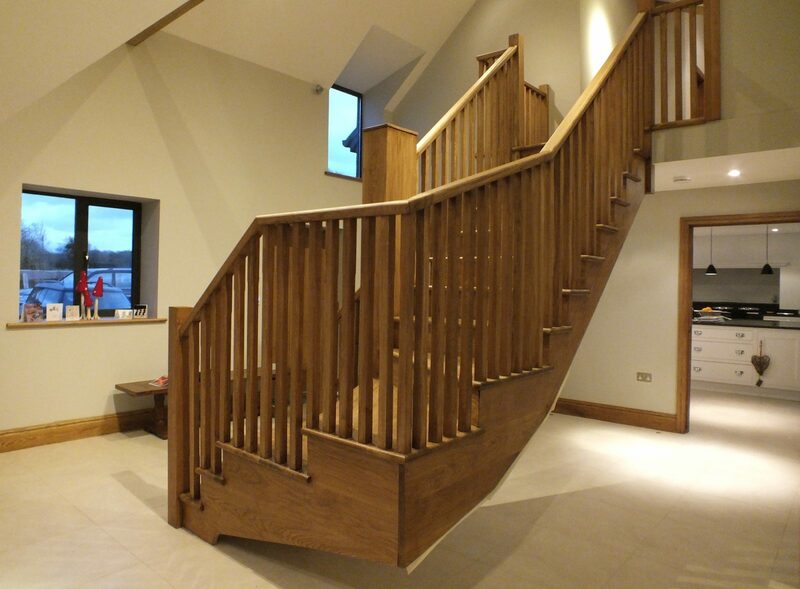 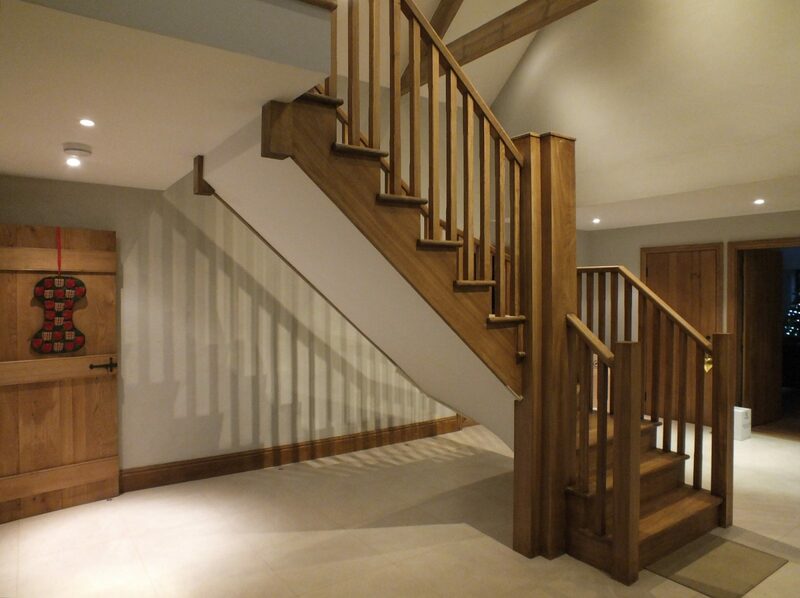 This free standing staircase highlights how traditional materials can create a modern feature inside of your home. 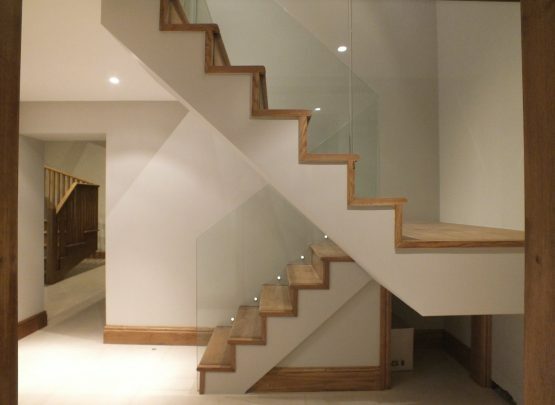 With minimal styles such as chamfered spindles and square newels, the actual shape and presence of the staircase becomes the feature. 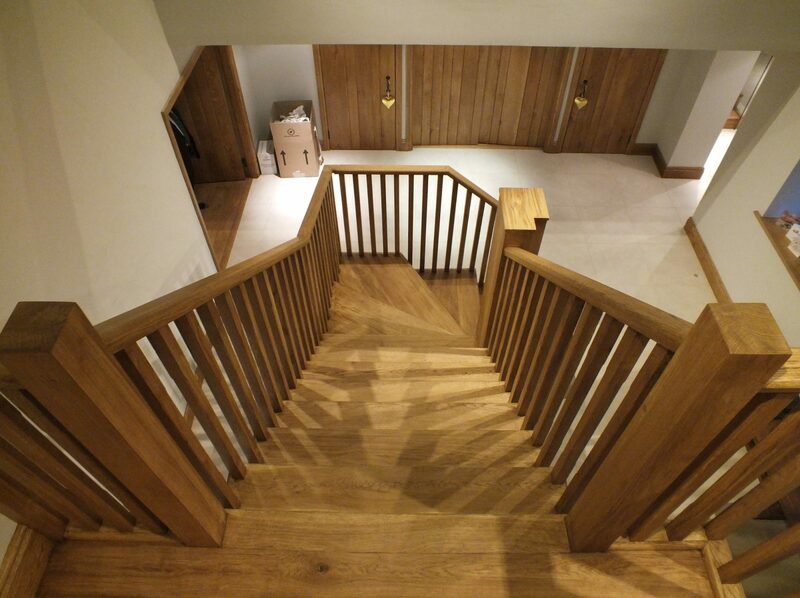 The client wanted cut string to improve visibility in the room making the staircase less intrusive. 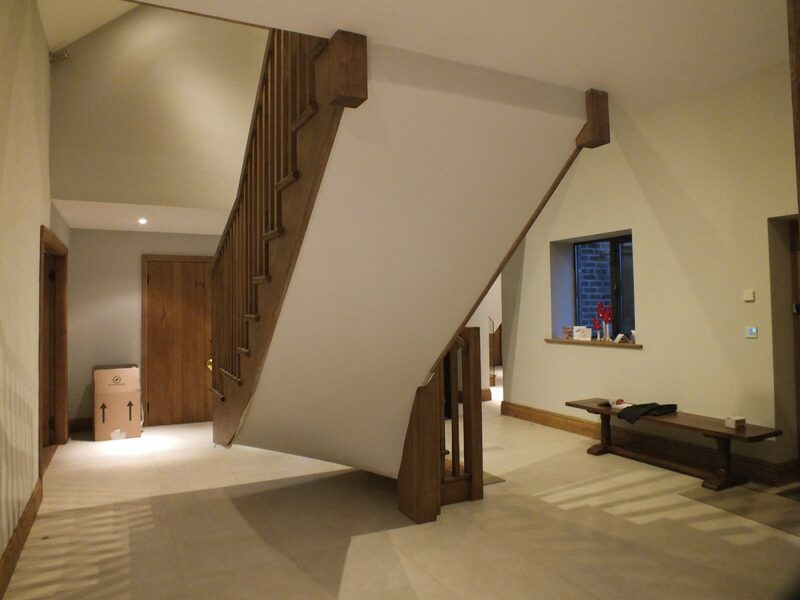 The underside was finished with plasterboard and then painted white to add a contrast in the room and break up the colours from the stairs.